Dublin-born Miriam Roycroft studied at the Royal Northern College of Music in Manchester with Ralph Kirshbaum and Donald McCall, and later at the Banff Centre for the Arts with Aldo Parisot. 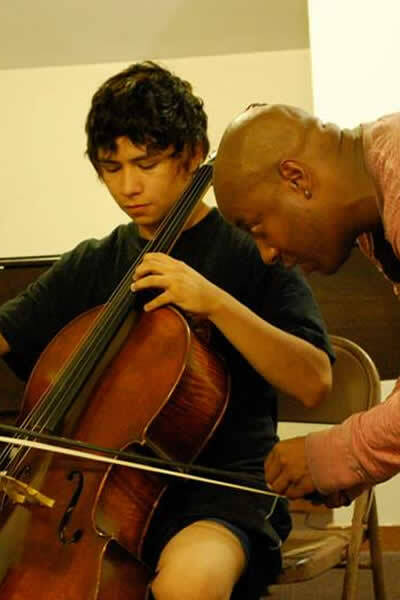 She has participated in masterclasses with Maurice Gendron, Marc Johnson and Paul Tortelier. Miriam has performed as soloist with the RTÉ National Symphony Orchestra of Ireland many times and has also guest co-lead the cello sections of the London Symphony Orchestra and the BBC Concert Orchestra. As chamber musician, Miriam has participated in collaborations with Steven Doane and John O’Conor. She has performed at festivals and concert halls throughout Ireland and the UK as concerto and recital soloist. Miriam is principal cello of Barry Douglas’s orchestra, Camerata Ireland, with whom she has toured America, South America, China and throughout Europe. 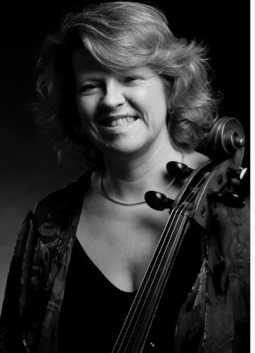 In September 2006 Miriam joined the Royal Irish Academy of Music in Dublin as cello professor where she is currently Head of the String Faculty. She is a featured artist on many major film sound tracks, including ‘In America’. In February 2013 Miriam undertook an eight-concert tour of Ireland with Réamonn Keary featuring the Cello Sonatas of Britten and Charles Alkan, both of whom had important centenaries and bi-centenaries during 2013.